Hope Dohlman, an eleventh-grader at Crestwood High School, has won the statewide financial literacy essay contest for Money Smart Week Iowa and has been named Iowa’s 2018 Money Smart Kid. Dohlman also received $1,000 from the Iowa Bankers Association to put towards her college education. Approximately 45 students from across the state participated in the essay contest. To be eligible, students had to be in grades seventh through eleventh and submit a 400-word essay. The essay asked students to write a brief newspaper article describing the potential devastating effects of a natural disaster on a family’s financial situation. Students were also asked to include tips and resources for readers to help prepare them for a potential future unexpected crisis. The top five essay finalists also participated in an interview with contest judges. 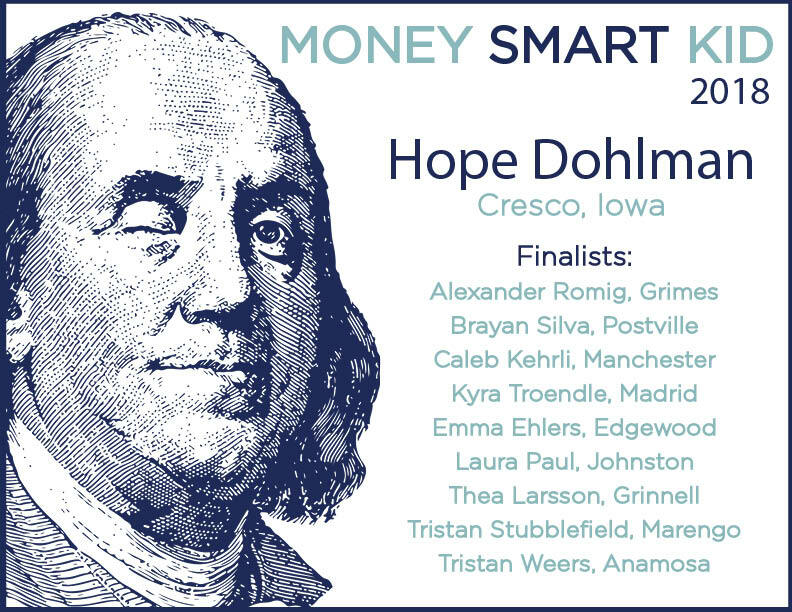 From those finalists, Hope Dohlman was selected to be the 2018 Money Smart Kid. In addition to Dohlman, the top ten essay finalists were recognized and awarded money to put toward their college savings funds. Individuals receiving $500 towards their college savings include: Alexander Romig (Grimes), Brayan Silva (Postville), Caleb Kehrli (Manchester), and Kyra Troendle (Madrid). Students awarded $300 toward their college savings fund include: Emma Ehlers (Edgewood), Laura Paul (Johnston), Thea Larsson (Grinnell), Tristan Stubblefield (Marengo), and Tristan Weers (Anamosa). 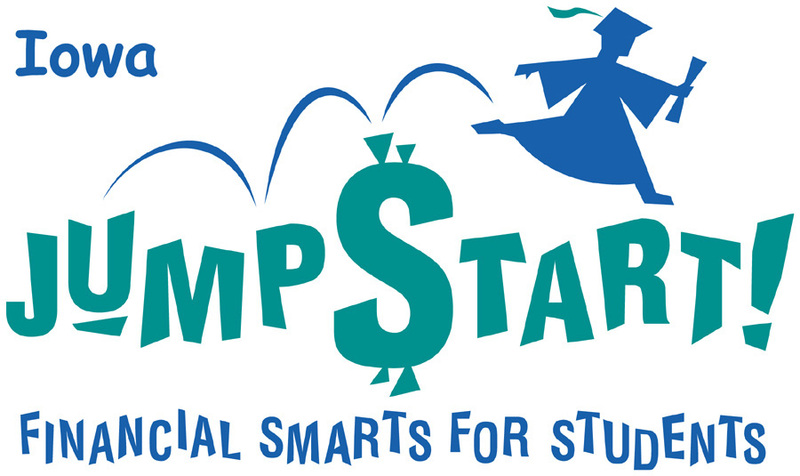 More information about Money Smart Week is available at http://www.moneysmartweek.org.